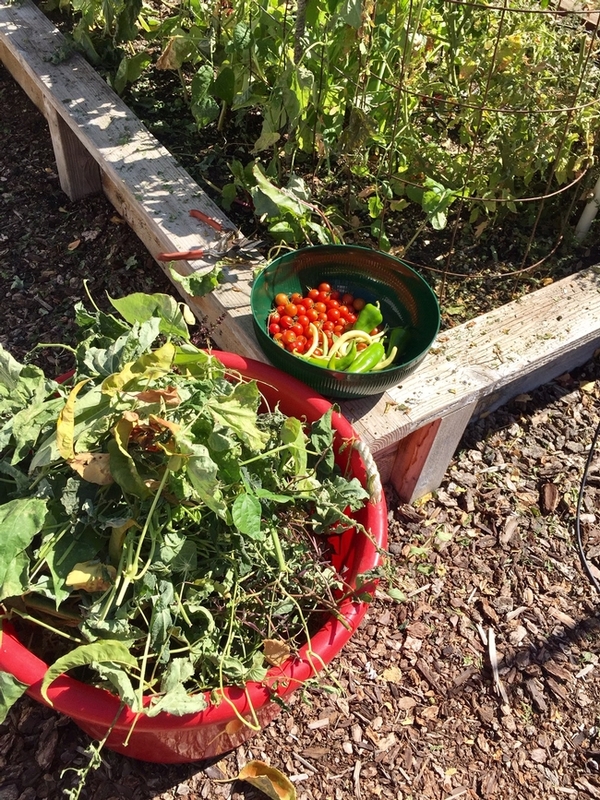 Fall is here and that means there is work to do in the garden. 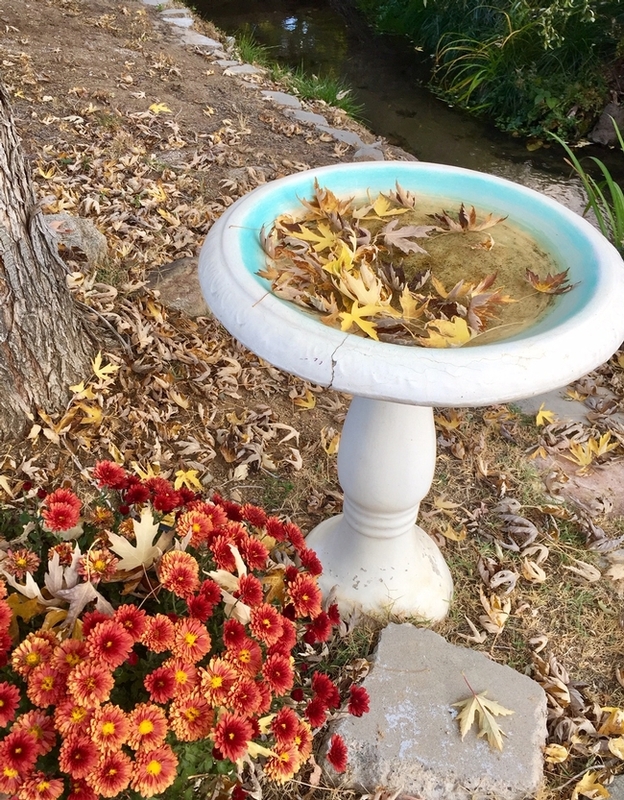 Here are some fall tips! Harvest remaining fruits and vegetables. Or cover beds where you wish to extend growing season. Note what crops were planted in specific locations and plan to rotate next season to control disease and improve soil conditions. Remove annual vegetation but consider leaving some perennials that add interesting structure like clumps of native grass or plants with unique seedpods. 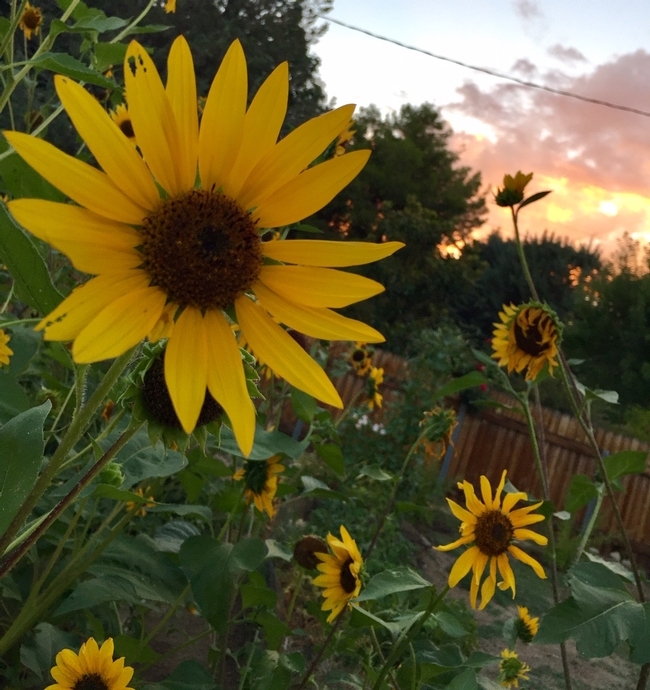 The seedpods of coneflowers, sunflowers, and Rudbeckia provide food for over-wintering birds. Leave less-winter-hardy perennials like chrysanthemums, red hot pokers and lavender intact with stems as this provides structure in which leaves can settle and provide insulation from the cold winter. These plants can also provide shelter for native beneficial insects. Trash diseased or pest-infested debris. Place remainder in compost bin or turn into garden bed. Remove weeds and debris before freeze. Cover perennial plants such as artichokes or asparagus with mulch for winter protection. Amend soil. Add aged manure or compost (organic matter will break down). Mulch beds to reduce erosion during winter rains and snow melt. Mulch is any material that assists in retaining moisture, reduces weeds, and as noted above prevents erosion. 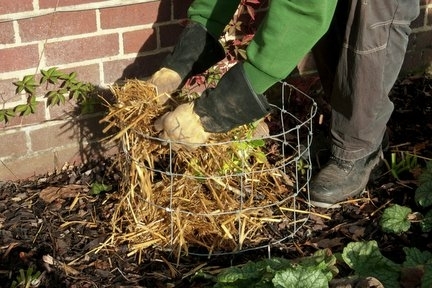 Shredded bark, straw, leaf material, or compost can all be used as mulch. You can cut back overgrown vine plants such as grapes and berries leaving new stalks that will produce next year's fruit, but wait until late winter do the final pruning. Prune deciduous trees after they go fully dormant (lose leaves) or in early spring. Cut and remove any dead tree limbs which are likely to fall once the harsh winter conditions start to arrive. Thinning the tree or hedge branches each season is certain to limit the chances of falling limbs, which could cause damage to whatever might be below. Late summer and fall flowering shrubs should be pruned when dormant in late winter or early spring. Do not prune spring flowering shrubs like lilacs in fall since they already have their flower buds. These are normally pruned once they finish flowering. An eco-friendly option for disposing of garden waste is to create a compost pile. A variety of compost bins are available at a local hardware store or it is possible to create a simple compost pile using old wooden planks or chicken wire to contain the contents. Avoid including plants that seem diseased or insect ridden since this will have a negative impact on the quality of the compost. A quality selection of kitchen waste (tea bags, coffee grounds, vegetable or fruit peelings, paper towels, filter papers, etc) can also help with promoting the nutrient-rich compost. 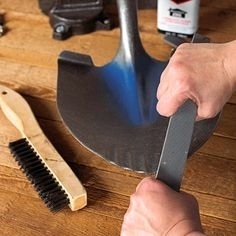 Organize your tools but first clean and disinfect with a 10% bleach solution, sharpen any spades or shovels. You can use a light coating of oil on the metal tools to prevent oxidation and rusting. Also rub linseed oil into the wooden handled tools to keep them from drying out and reduce splinters. Drain the fuel tanks on power equipment. Stretch out the garden hose fully on a downhill slope to allow all of the water to run out. Then loosely roll the hose up and store it for the winter. Hang a bucket on a hook in your tool shed or garage and use it to store hose nozzles and sprinkler attachments. If you have an in-ground irrigation system, be sure that it is cleared of water so it won't freeze up and damage pipes. Clear debris from gutters. 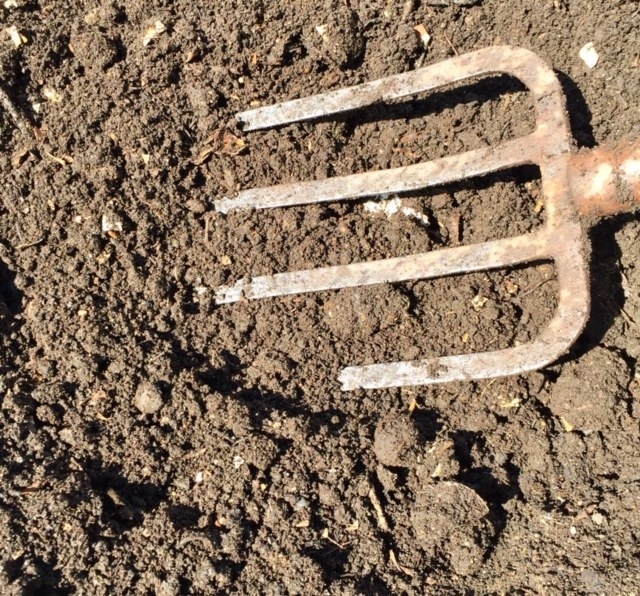 A garden trowel or similar sized tool is highly effective at scooping out the mess. Use a plumber's auger on any significant clogs or blockages. Once the larger sized pieces of waste are removed it is possible to look at washing it down with a garden hose to make sure it is entirely free and clear of debris or blockages.